Jordan I have to admit is one of my favorite countries. I love the history (it’s ancient), the culture, the sites, the people, and the food; especially the food! Jordan is a modern country that sits on ancient land. Civilization in Jordan pre-dates biblical times. It has been home to ancient people since the Neolithic Period over 12,000 years ago. In fact some of the first artwork made by humans were discovered in Ayn Ghazal archaeological site in what is now Amman the modern city that is the country’s capital. In total 15 pottery statues were unearthed at the site and they are now displayed at the new Jordan Museum in Amman. The museum is also home to some of the Dead Sea Scrolls including one of the famous copper scrolls. The Jordan Museum should be on your list of places to visit in Jordan regardless if you’re a history buff or not. The statues are amazing and the scrolls are definitely intriguing. But to really experience Jordan step away from the museums and the hustle and bustle of the busy capital and visit some famous and not so famous sites around the country. 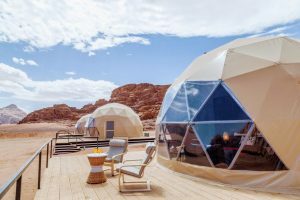 Here are 5 unique activities that will make your Jordan vacation truly memorable. The ancient Rose City of Petra located in southwest Jordan is arguably one of the most important archaeological sites on earth. In my opinion it ranks up there with the Pyramids of Giza in Egypt, the Pyramids of Chichen Itza in Mexico, and the UK’s henges. The city is located in Wadi Musa, the Valley of Moses where according to the holy books Moses struck one of the stones in the desert valley and found water. Nestled between desert canyons and mountains Petra was the thriving trading center and capital of the Nabataean empire between 400 BC and AD 106. The ancient buildings with elaborate facades were carved out of the sandstone cliffs in the second century AD. 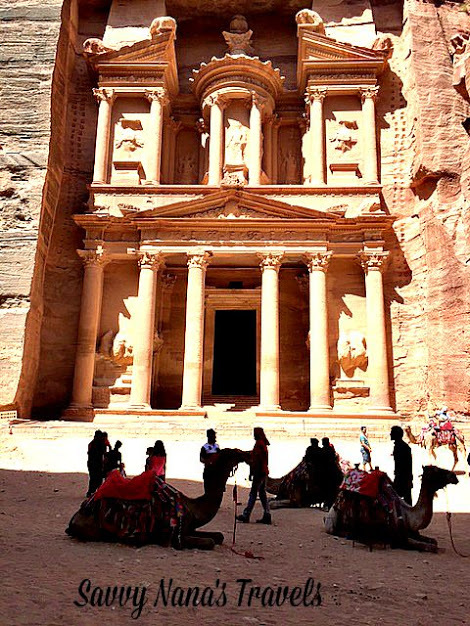 I believe that a trip to Jordan is incomplete if one doesn’t visit the city of Petra. A trek through Petra is a humbling and awe inspiring experience. There are many ways to see Petra, the site is huge even though just 15% of the city has been excavated. I prefer to walk in from the main gates. To reach the city one must meander thru the twisting canyon called the Siq. Walking is the best way to see all the features of the Siq including the system of ledges that brought water into the city in ancient times. You’ll also see some carved mini “temples” and staircases scattered through out the Siq; you never really know what lies beyond the curve until you get there! 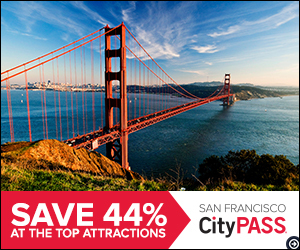 It’s also the best way to get your first glimpse of the city, believe me it’s breathtaking! The narrow Siq opens up to allow you to set foot in the ancient city and the first sight you will see is the iconic building made famous by the movie Indian Jones and the Last Crusade. Stepping into the sunshine from the shadows of the Siq is a magical moment! You can wander the city on foot then catch a donkey up to the monastery located up a steep path towards the end of the site. Or if you prefer you can hire a camel to walk you around the city. On your way out if you’re too tired to walk back to the main gate you and hire a carriage to take you back. How ever you decide to visit this UNESCO World Heritage Site it is definitely worth the time. For more information on things to see in Petra click here! Wadi Rum is a desert valley in south Jordan known for its spectacular sunsets and topographical formations. A ride through Wadi Rum is like a voyage through Earth’s topographic evolution. Many of the formations are older than the Dead Sea Rift which forms the western part of Jordan. Wadi Rum is a desolate inhospitable place that the local Bedouins have camped in and traveled through for centuries. Today Wadi Rum is a protected area where visitors can participate in a variety of activities. One of the most popular things to do is to stay overnight in a luxurious tent. A far cry from the tents used by ancient bedouins these modern tents are air conditioned, have running water, and are very comfortable. Many of the tent resorts or hotels are located deep enough within the preserve that you get a feeling of the isolation. If you’ve never experienced the saying “as black as night” this is one of the places to do so. The darkness that surrounds you makes it the perfect place to stargaze for those are the only points of light you’ll mostly see. You can go trekking on camels, by horseback, or by 4×4 vehicles. You can even hike, but bring a guide and lots of water if you do. 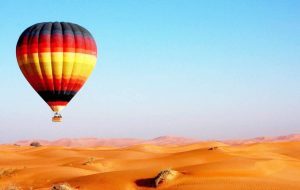 Or for a very special activity go on a balloon ride at sunrise or sunset. Spectacular! The Dead Sea has the lowest elevation and the lowest body of water on the surface of the Earth. Its surface level is over 1400 feet below sea level. The Dead Sea is actually a landlocked lake located between Israel and Jordan. Its main source of water other than rain is the Jordan River although there are small tributaries and underground springs which trickle into the lake. But the Dead Sea is the terminus for the flow, in short there is now way out. So the water accumulated in the lake evaporates and creates salt. It is famous for it’s healing waters which are said to cure everything from skin disorders to diabetes. The benefits of the waters are attributed to the high concentration of salts that have accumulated in the lake over centuries. Because of the extremely high salinity pretty much everything is buoyant in the Dead Sea. So even if you don’t know how to swim you will float, but be aware that even though you float it doesn’t mean you can’t drown. In fact floating on your stomach is not a great idea, because the water is so buoyant turning and swimming is difficult; so you could get stuck on your stomach and drown! But with some common sense and caution a dip in the Dead Sea is a must do when in Jordan! Umm Quais is both a modern town and ancient city in Northern Jordan. Known as Gadara in ancient times it was a member of the Decapolis, a group of 10 city/states, that marked the eastern frontier of the Roman Empire. It was also occupied by the Byzantines and later the Umayyad Dynasty so you’ll find ruins of those ancient civilizations as well. What makes this town and site unique is it’s location. Snuggled amid the Golan Heights of Syria, the Jordan Valley of Jordan and the West Bank, and Lake Tiberia (The Sea of Galilee) in Israel Umm Quais quite literally has a view of 3 countries, or 4 on a clear day when one can spot the mountains of Lebanon. The archaeological site is pretty much off the beaten path so you won’t find it busy at all. You can sit in the black basalt theater, walk the still paved Decumanus Maximus (main road going east to west) of the city in Roman times, stroll down the Cardo Maximus (Colonnaded main road going north to south), wander the ancient ruins that include a basilica, underground mausoleum, and a 16th. century church; and enjoy a meal at the cafe that’s built into the ruins of an ancient building. You can even visit the small on site museum that houses finds from the area’s excavation; you may have to round up the person in charge to unlock the building. Umm Quais is one of my favorite sites, the views from the cafe are amazing. A trip to Umm Quais can be combined with a trip to Jerash, Irbid, and Ajloun. All are worth visiting! A trip to Jordan would never be complete without trying all the wonderful food the area has to offer. Don’t be afraid to try the shawarma and falafel sandwiches being sold on the road; they are amazing not to mention unbelievably cheap! And then there are the outdoor cafes along the roads, I love the ones in the Shmesani district where the cafes, restaurants, and coffee houses are busy til the wee hours of the night! For amazing falafel, hummus, and fresh baked bread try out Hashem’s downtown (even the Royals eat there!) or head to one of Abu Jbara’s locations. For sweet treats nothing beats Habibah. You can grab some fresh kunafa at the little downtown kiosk where you stand in the alley to eat your delicious cheese pastry or sit down at their new location a block away from Abu Jbara on Medina Street. The new 2 story location is a wonderland of middle eastern and western treats. You’ll find baklava, kunafa, and maamoul along side ice cream, cakes, french pastries, and chocolates. If you’re looking for something fancier head over to Reem Alo Bawadi. The food is excellent and the service outstanding. What ever you decide to eat you’ll find something for every taste and budget in Amman! Want more great eats in Amman? Click here! Ready for your Jordan adventure? 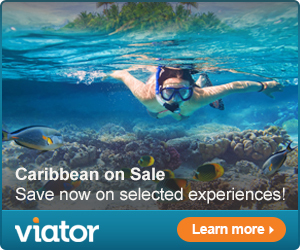 Call Savvy Nana Travel, we’ll help you plan! Dubai is the 2nd. most populated emirate of the 7 emirates that make up the UAE. It is probably the most “secular” and “westernized” emirate. Although it’s still basically an “Islamic” city/state it doesn’t have very strict “sharia” practices like its neighboring emirates that require women to have their heads covered in public. Dubai prides itself as having some of the most over the top buildings in the world, it is home to the Burj Khalifa currently the world’s tallest building. It has built a world filled with luxury hotels, malls, theme parks, and entertainment venues. A visit to Dubai is like a pilgrimage to luxury, fun, and entertainment. Of course you must go see the Burj Khalifa and the Mall of Dubai, the world’s tallest building and one of the world’s largest malls filled with high end department stores and designer shops. Indulge in cocktails at the iconic Burj al Arab hotel which bills itself as the world’s only 7 star luxury hotel. And have some fun at Atlantis’s Aquapark. But if you’re looking for something a bit more unique read on! 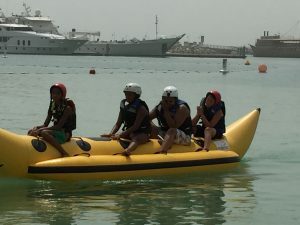 Here are 5 unique activities you can do for a memorable Dubai experience! Get out of town and into the desert for some daring dune bashing in the comfort of an air conditioned SUV. 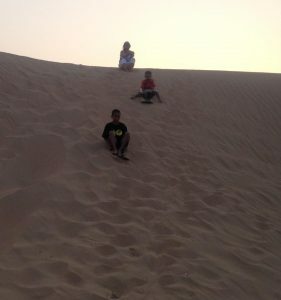 You’ll be picked up at your hotel by a friendly driver who will drive you to the desert in the early morning or late afternoon where you’ll join a caravan of daredevils for a bit of fun on the desert dunes. Get a bird’s eye view of the desert during sunrise or sunset for an unforgettable experience. You’ll see the shadows cast over the gently dunes and the changing colors of the skies. Truly magnificent! I know you can probably ride a camel at a Renaissance fair or zoo (maybe), but there’s something about riding one in the desert. After all they are called ships of the desert! Sand surfing in the desert is lots of fun, the only down side is you have to drag your board back up the sandy dune. Best time to do this is late afternoon, just before sunset. When the sand is not burning hot! 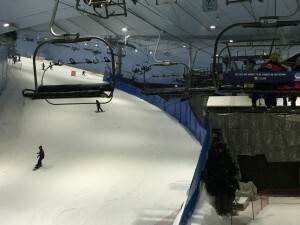 Dubai is one of the few places in the world where you can ski indoors. I’m pretty sure it’s the only indoor ski park in the middle of the desert. 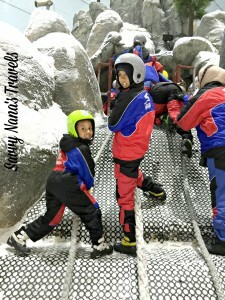 You can’t leave Dubai without spending a day at Ski Dubai located in the Mall of the Emirates. Even if you’re not a skier, which I’m not, you can enjoy some wintery rides in the park. My favorite is the bobsled ride! Ready to book your Dubai adventure? Call Savvy Nana to help you plan! 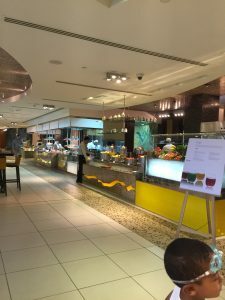 Westin Mina Seyahi Resort & Marina – Great Dubai Resort! To say that Dubai has a ton of hotels would be an understatement. I believe there are almost 600 hotels in this city state that covers 1,588 square miles, that’s roughly the size of Rhode Island which covers an area of 1,544 square miles. And the hotel count is growing with 140 more set to open in 2016 and still more during the next 4 years to accommodate visitors expected to flock to Dubai during the World Expo in 2020. So there definitely isn’t a shortage of hotel rooms! There are hotels to fit all types of travelers and budgets. From low end hotels in the old city to super luxury resorts on Palm Island Dubai has it all. 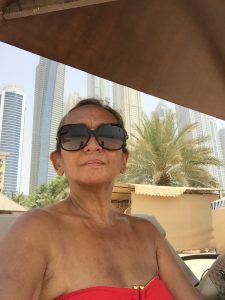 We’ve stayed in several different hotels there, including the JW Marriot Hotel Dubai in Deira, the Hilton Dubai Jumeirah Beach Hotel & Resort, and the Westin Mina Seyahi Resort & Marina. All three are great hotels. 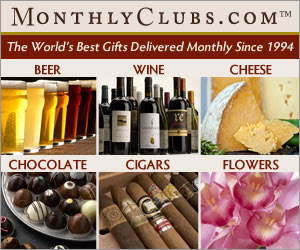 They’re comfortable, luxurious, have awesome service, and great locations. But our all time favorite is the Westin Mina Seyahi Resort & Marina, specially when the kids and grandkids are with us, they love the Westin. 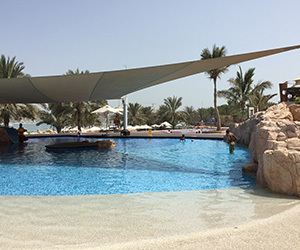 Most of the resorts in Dubai, special those located in Jumeirah or on Palm Island are very kid friendly, but from my experience the Westin is the least expensive for the this class of hotel, depending on the season rates start at about $250 – 350 per night for a standard room. Believe me other luxury hotels in the area charge more. We usually book Executive Club Rooms that have sea views and come with perks like breakfast, afternoon tea, cocktail hour, and all day drinks at the Executive Lounge located on the 8th. floor. We also try to book the room to include breakfast, yes the Executive Club rooms include breakfast at the Lounge, but we love the buffet breakfast at the Blue Orange Restaurant located on the ground floor. 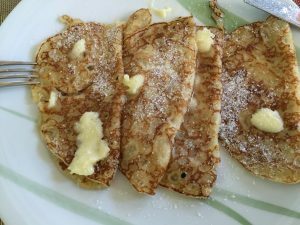 Not to mention their crepes are amazing! The buffet breakfast is pretty pricey if it’s not included in the room rate. It’s about $40 per person and children under 12 are half price. Ok other than the amazing breakfast buffet here are other reasons why we love this resort. The rooms are spacious with ample storage, the beds very comfortable, and the bathroom luxurious with plush towels, robes, and slippers. Each room is equipped with a handy Nespresso coffee machine which housekeeping restocks at least once a day. Did I mention they clean the rooms twice daily and have turn down service? The kids love the little chocolates they leave on the pillows! So yes the resort is luxurious and has awesome service. On a tangent the kids loved the welcome gifts they receive when we check -in. They each got a little backpack filled with vacation essentials; a disposable camera, water bottle, and beach toys. I think the concierge gave them the gifts while we were checking in. I can’t quite remember I was busy with the welcome drink and snack they let you munch on while checking in. The cold towels they offer at check in was much appreciated too. I told you they were awesome! Oh and speaking of awesome the concierge will loan you a child’s car seat if you need one, free! They add a small deposit to your room charge until you return the seat, then they remove the charge. Fair enough because it was a very nice car seat. Saved us a bundle too, Hertz was going to charge us $20 a day to rent Jett’s car seat and we were there for 2 weeks! The concierge will also handle lost luggage, I mean luggage that the airlines very nicely lost for you on your way to Dubai. A couple of years ago the airlines (not Emirates) somehow misplaced all our luggage. The Westin’s concierge followed up for us and as they were delivered we found them already in our rooms. It took the airlines 3 days to finally deliver them all. 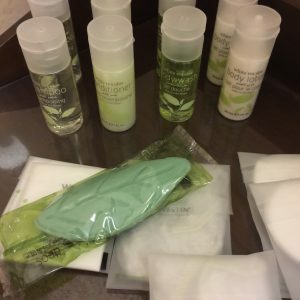 The concierge kept us appraised of our luggage situation daily until they were all delivered, took the stress of arguing with the airlines away! Among the best features of this hotel is the beautiful stretch of beach on the property, it’s quite a long stretch as the Westin is connected to its sister property Le Meridien, another great hotel. Guests at either resort have access to both resorts amenities including the pools, kids’ club and play area, and restaurants. It’s a private beach and from there you can see across to Palm Island. The kids loved splashing in the very warm Gulf water and collecting the many shells scattered on the beach. 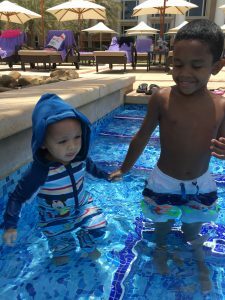 When they’re not at the beach the kids love the pools. The children’s pool is shaded by a tarp. It has a small water slide and a little cave the kids can play in. The lifeguards are very friendly and attentive. By the end of our last stay they were calling the kids by name! And whether you’re on the beach or at the pool the pool valets are always around. They pass around cold water and small cups of cold juices and the always welcome cold towels and misters, all free of charge. You can also order drinks, snacks, or lunch. Just ask for a menu and they’ll be happy to bring it. Food and beverages are charged to your room of course. How much more pampered can you be? While you’re at the pool you can enjoy some adult time with out the kids by dropping them off at the kids’ club, it’s located by the beach between the 2 resorts. A schedule of kids’ activities is posted by the towel kiosk as you enter the pool area. There’re many different activities through out the day. The Kids’ Club staff are very good. When you first sign up the manager will let you know what the activities are and will list down any special needs your child may have including food allergies. Snacks are provided and you can arrange for your child to have lunch there as well. They will also ask for a list of people who you authorize to sign your child in and out of the club. 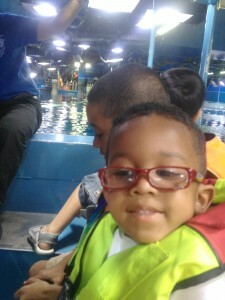 My grandson Dion participated in the Banana Boat ride. The activity cost about $8 and was scheduled for one afternoon a week. He had a blast! 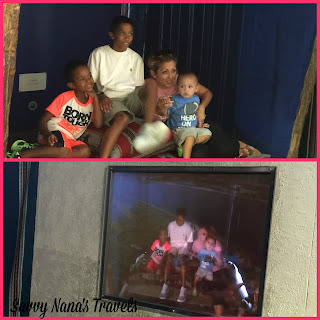 We watched him from the comfort of the beach lounges! But the water fun isn’t limited to kids! The water sports center rents jet skis, kayaks, speedboats, and more. Remember it is a Resort & Marina! The Westin Mina Seyahi Resort & Marina really does have something for everyone. It’s a great family friendly hotel at a great location. It’s fun and comfortable resort at a great location, with excellent service, and great restaurants. That’s why it’s our favorite reasonably priced resort in Dubai! For other kid friendly hotels in Dubai click here! For budget friendly Dubai hotels click here! Dubai is such an amazing place. The city state boasts the world’s tallest building, one of largest suspended aquariums in the world located in one of the largest indoor malls, and so much more. There’s lots to see and do in Dubai you won’t know where to begin. We’ve been there several times and still haven’t seen it all. 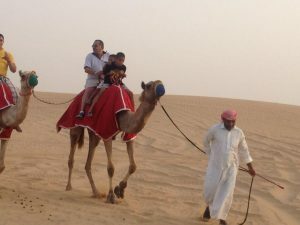 For our family one of the best things about Dubai is that it is very kid and family friendly. Many of the venues are geared for families with children. But it’s not cheap! Many of the attractions such as Ski Dubai and Atlantis’ Aquaventure come with a very hefty price tag. But don’t despair, there are many things you can enjoy with the kids without breaking the bank. One of them is a day at the Dubai Mall. Dubai Mall is one of the world’s largest indoor malls. It’s home to 1200 retail stores, The Dubai Aquarium, an ice skating rink, a real dinosaur, movie theaters, and more. Sure most of the things in Dubai Mall are not free, but there are many that are free or very inexpensive. First let me start some of the free and less expensive things you can do with the kids and end with the most expensive activities. Browse the candy and toy stores, they’re pretty amazing! Of course this can get costly if you decide to go on a shopping spree, but if you can manage to keep your credit cards in you wallet, or stay on budget, the kids will be delighted. The Toy Store located on the lower ground floor is a child’s dream store. It’s a huge store filled with just about every toy imaginable. It’s also lots of fun. 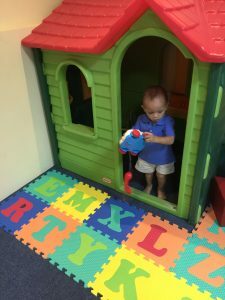 The store front is filled with sales associates demonstrating cool new toys, best of all they interact with the kids and even let them try out the toys. Great marketing! You’re welcome to browse thru the store, touch, and even play with the samples that are scattered throughout. Getting out of the store without making a purchase can be challenging, but we managed several times. Well ok, we got the kids out fine, but on one visit my husband insisted on purchasing one of the flying gizmos! 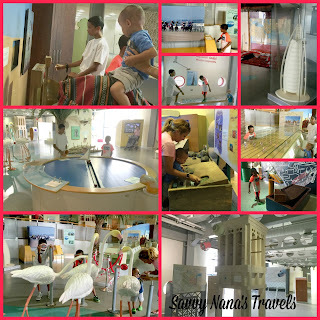 The kids loved the Al Nassma kiosk also located on the lower ground floor. The kiosk sells beautifully boxed chocolates made from camel’s milk. The kids thought camel’s milk candy was cool, but I’m not sure they really liked it. They did love the gold colored camel that was part of the decor. The sales associate was nice enough to let the boys ride the camel and take photos. My grandson Dion picked up a small box of chocolates for his mom and my husband bought several bars to munch on. 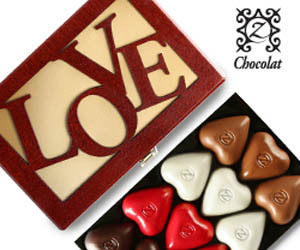 If you’re adventurous you may want to give it a try, but the chocolates are pretty pricey! There are several other sweets shops nearby including Patchi that sells high quality chocolates made in Lebanon. The kids loved choosing samples which the sales associates handed out freely. Candylicious located on the ground floor directly across from The Dubai Aquarium is actually a bunch of candy stores under one roof. The store is huge and houses different sections of various products. In the front you’ll find Garret popcorn shop selling a variety of yummy popcorn. The popcorn is sold by weight so you can buy as much or as little as you want. We picked up a couple of bags to munch on. Further in the shop you’ll find the Chocolate Moonshine Co. This family owned US company prides itself in making artisan that are gluten free and have 0 trans fats. 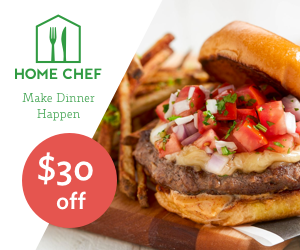 You’re encouraged to sample the many flavors and create your own sampler box. We picked up a couple of boxes to enjoy when we returned home. They really are yum with lots of interesting flavors. In the back of Candylicious you’ll find candy confectioners busy making handmade candy at Spun. Now that the kids are on a candy rush you can head to the Dubai Fountain located on the lower ground floor. You can’t miss it, just follow the signs! There’s a fountain show every half hour or so, check at the mall for the schedule. Enjoy the show for free anywhere along the promenade or grab a cup of coffee from Tim Horton’s or a burger from 5 Guys and take a seat in their outdoor seating area. For more upscale fountain side dining check out Wafi Gourmet for lunch or dinner. They serve delicious Middle Eastern cuisine and have outdoor seating where you can watch the fountain show during your meal. 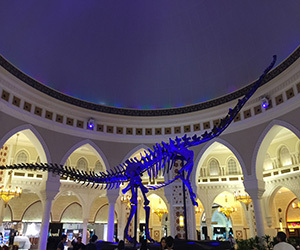 Check out the DubaiDino on the ground floor. Hard to miss just follow the dino tracks! Another popular free attraction is the outer wall of The Dubai Aquarium located across from Candylicious. You’re welcome to watch its many inhabitants swim by as long as you want, as long as you can fight the crowds! You can work off that ice cream at the Dubai Ice Rink. Or you can just watch the skaters! The Olympic size rink is located a couple of floors below the food court. Or you can head back to the Dubai Aquarium, it’s very cool. Tickets start at about $25 per person to the Aquarium and the Underwater Zoo. If you or the kids love flying and splurging is within your budget then book a session with the Emirates A380 Experience. It’s a flight simulator that puts you in the cockpit of this beautiful plane. As I said this is a bit of a splurge! A thirty minute session costs a bit over $100! The Emirates A380 Experience is located on the ground level right next to the Emirates Official Store. The boys loved the store, they were able to buy model planes, pilot and flight attendant uniforms, and other logo stuff at fairly reasonable prices. If you want to ride the high speed elevator to the Burj Khalifa’s observation deck you can purchase tickets at the Dubai Mall. The ticket booth is located not far from the Dubai Fountain. Tickets start at about $30 per person depending on which floor you want to go to and the time of your visit. Whatever you decide to do at the Dubai Mall I’m sure you’ll have a great time. There is so much to see and do you’re sure to find something that fits your tastes and budget. Remember you don’t have to spend a cent, but it’s sure hard not to! For more information on Dubai activities click here! For kid friendly hotels in Dubai click here! 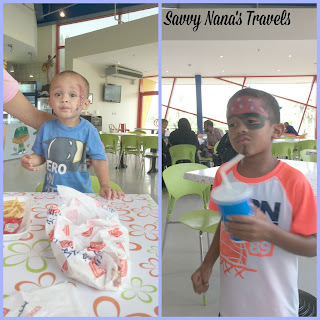 Dubai’s Children City – Fun, Educational, and Inexpensive! 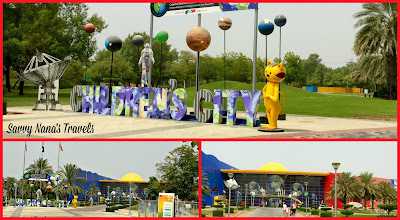 One of our favorite and least expensive places to visit in Dubai is Children’s City. 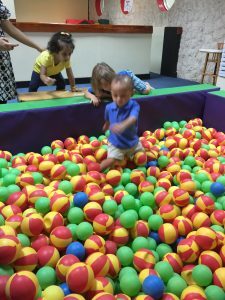 Located inside Creekside Park on the Bur Dubai side of Dubai Creek Children’s City is fun and educational for the entire family. 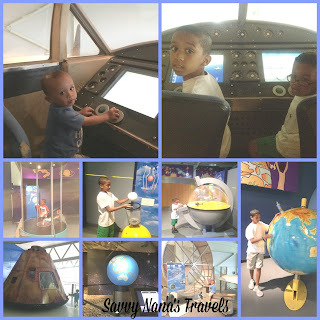 It’s one of the best Children’s museums we’ve visited. Children’s City is dedicated to children between the ages of 2-15. 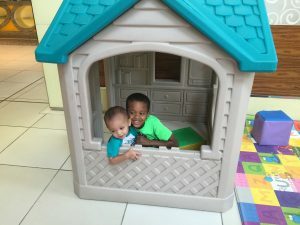 It’s a place where they can play, learn, explore, and discover the world we live in. 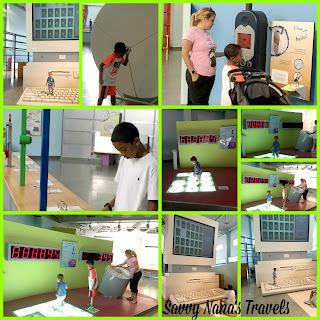 They have a theater, a planetarium, toddler play area, and galleries with interactive displays where kids can learn about nature, communication, space exploration and more. Our kids love it! It’s a good inexpensive way to spend the day. In a town filled with the biggest, fastest, tallest, and other extreme sights Children’s City is a refreshing change from amusement parks that charge a small fortune for admission and overwhelming malls that are packed with thousands of shoppers and tourists. Entrance to Children’s City is a mere 10 AED for kids 2-15, 15 AED for adults, or a family ticket for 40 AED admits 2 adults and 2 children. Kids under 2 are free. At the entrance there is a map of the building to help you find the different galleries. Go on a Magic Carpet ride over Dubai! In the Nature Center kids can learn about different environments and the creatures that live within. 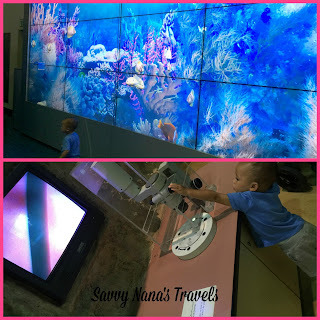 From fossils to fish and more they have all sorts of interactive displays that kids and see, touch, do, and explore. There are lots of fun exhibits in the Human Body gallery. 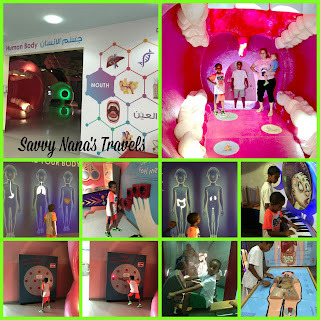 Kids can have fun on the interactive displays while learning about their bodies. Dion’s favorite is biking with the skeleton! And everyone loves exploring the mouth! From Morse Code to Cell Phones and computers, the giant interactive displays in the Computer and Communication gallery has it all. This is one of the kids’ favorite galleries. We spend a lot of time here! The Space Exploration gallery is another fun place. The kids love sitting in the cockpit of a model Emirate Airlines plane. In this gallery they explore all things that fly. 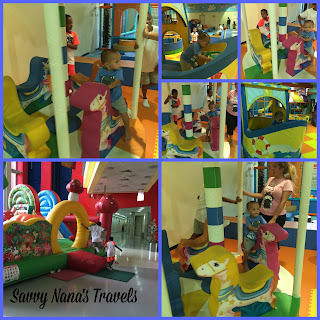 The Toddler Play area has slides and rides for kids to play in. When we were there last summer there was a huge bounce house in the lobby, the kids loved it! There is always something fun and educational in Children’s City. They have a schedule of workshops and special exhibits year round. While we were there they had a gentleman face painting and making balloon animals. If you get hungry there’s a small snack bar in the back of the lobby. They sell burgers, pizza, and other snacks at reasonable prices. You can also host a birthday party here if you like. If you still have energy after a few hours in Children’s City there are more things to do in the park. 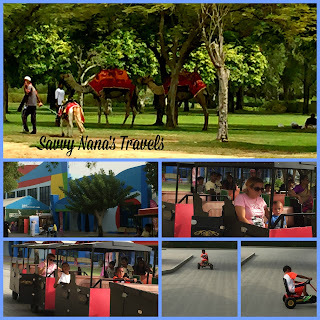 You can ride a donkey or camel, take one of the trains for a ride around the park, or rent a go cart. Each activity is charged separately, but they’re pretty inexpensive. The Dolphinarium is also within this park as is a small amusement park and water park. You can’t do it all in one day, but this park can keep you and your kids entertained for a day or two for less than what you’d pay for a day at one of the big theme or water parks. For more free & cheap things to do in Dubai click here! For more kid friendly Dubai attractions click here! Or check out my posts about Atlantis Aquaventure Park, Ski Dubai, Yas Waterworld, and Ferrari World. Only in Dubai can you ski, sled, and snowboard in the middle of the dessert when the outside temperature hits 100+ F. degrees. Ski Dubai, located in the Mall of the Emirates, one of the world’s largest malls, lets you do all that and more. It’s a must do, or at the very least must see, sight in Dubai. It’s the world’s most exotic ski resort and is home to one of the longest indoor ski slopes in the world. 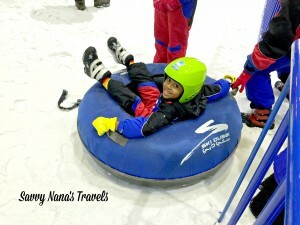 Whenever we’re in town with the grandkids we’re sure to spend a day or two at Ski Dubai. There’s so much to do there it keeps the boys happy and occupied for hours. They have rides and activities for toddlers, young kids, teens, and adults. 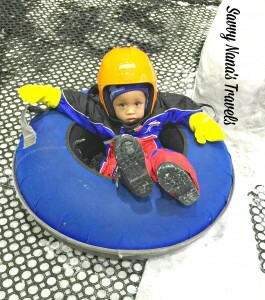 My 2 year old grandson had so much fun on the toboggan! 7 year old Devon loves them too! Mini toboggan slopes for the little ones! You don’t have to worry about safety, there’s lots of attendants to help kids get on and off the rides safely. We all, except Jett, loved rolling down the slope in this giant air filled ball. For a bird’s eye view hop on a ski chair lift. It takes you all the way up the slope, stopping to let skiers and boarders off at the top, then back down to where you started. You can see all the skiers and snowboarders from the lift. 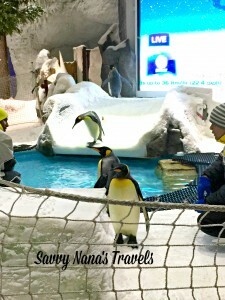 Several times a day there’s a penguin show featuring the resident King and Gentoo penguins from Antarctica. For a more up close look and personal time with the penguins you can book a Penguin Encounter starting at 175 AED per person. Playing in the snow is always fun, there’s a snow park area away from the crowds where you can build a snowman, have a snowball fight, or make a snow angel. If you like they offer ski and snowboarding classes for young and old. Or if you’re an experienced skiier head over to the lifts and ski your heart’s content. And if you get hungry or thirsty there’s a snack bar within the park that sells hot chocolate and other snacks. For something a bit more substantial there are many restaurants just outside the park and the food court is one floor up. The fun begins in the park’s mall entrance where you can purchase tickets and rent a locker. 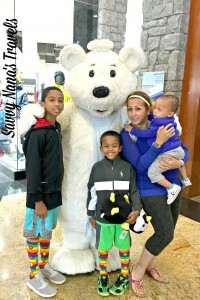 You might just be greeted by the polar bear! General Admission starts at 250AED for adults and children. Kids under 2 are not permitted in the park. 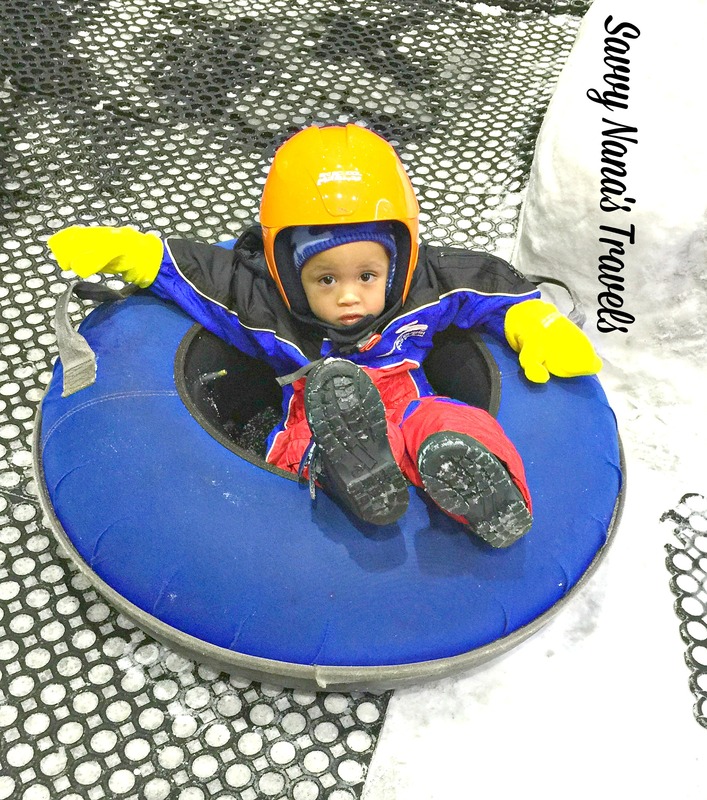 There are separate admission prices for certain rides such as the Snow Bullet (a zipline ride down the slope) 150AED, or it can be included in one of the packages offered. 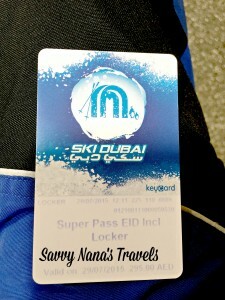 There’s also slope passes for experienced skiers starting at 200AED for adults and 170AED for kids. Penguin Encounters start at 175AED, but that doesn’t include park admission. Admission includes the use of ski pants and jacket, ski boots, and helmets (kids under 12 must wear a helmet in the park). It also includes a pair of disposable socks and a voucher for a pair of gloves from the gift shop. You can also purchase tickets online to avoid the lines at the ticket counter. 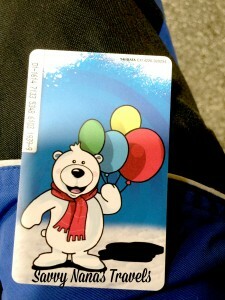 You just have to exchange your ticket for the passcard that you will need to get into the park. Lockers can’t be rented online. There are changing rooms and restrooms before the park entrance. Lockers can be rented for 25AED a day plus a refundable key deposit. If you have a stroller there’s a stroller park on the left before the ticket counter. Register with the attendant who will give you a tag and claim ticket for your stroller. We usually begin the day at the gift shop to pick up a pair of gloves. We have a bunch of them, but we always seem to misplace them. Then we gear up. Grab your gear from the counter. The attendant is pretty good estimating sizes, but try on the boots before you leave just to be sure they fit comfortably. Gear in tow we head to the locker area. There are benches in front of the lockers so you can get into your snow gear. (At this point we always have the kids use the restrooms, it’s a pain to have to undress them when they need to use the bathroom and there are no bathrooms in the park). Once you’re dressed and your belonging stowed in a locker you can grab a helmet from the shelves on your way to the park entrance. You will need your passcard to get in and out of the park, there’s a zipped pocket on the sleeve of the jacket to keep the card safe, locker keycard fits there too. Scan your passcard at the turnstiles and you’re icy adventure is about to begin! Right thru those sealed glass doors and you’ll feel like you’ve been transported to an Alpine winter wonderland! 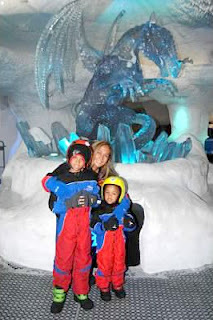 You can wander thru the snow caves and have a look at the giant ice sculpture before heading into the main park. Photographers are lurking every where, have them snap as many pictures as you want, you’re not obligated to buy any. You can check the pictures later at the photo booth before you go home for the day. Once you enter the main park look out for an available sled. It comes in handy for towing small kids around. The activity areas are clustered at the foot of the slopes with separate areas for the little kiddie rides. There are signs pointing to the different rides, you may have to grab a tube for some of the rides, there are single and double tubes available. You can walk up the slope or hop on the conveyer belt. There are attendants at every ride, they will instruct you how you must sit and help you down the slopes. When you get chilled or just need a break you can exit the park at anytime. You don’t have to remove all the gear if you’re planning to return after you warm up or have had a bite to eat. When your day is done just drop the pants, jacket, and boots in one of the bins located in the changing areas. You can keep or toss the socks and gloves. 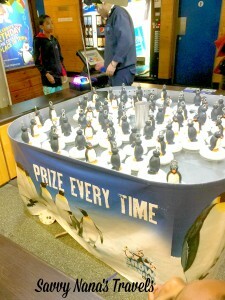 On your way out you can try your luck at the ring toss game for a chance to win a plush penguin. I believe the bucket of rings cost about 20AED. Dion tried his luck and won a medium sized bird. By this ring toss game you’ll find the photo center. Scan the wrist bands you were given with each photo. You can view your photos on the screen and choose the ones you want. There are several packages to choose from, and you can also purchase a disk or thumb drive loaded with your photos. If you took lots of photos this might be more economical. You can stop by the gift kiosk or wander over to the gift shop for a souvenir or two. Magnets start at 10AED. We always end up with a magnet or two and several plush penguins when we go. On your way out don’t forget to drop your locker key off at the automated booth to get the refund on your deposit. 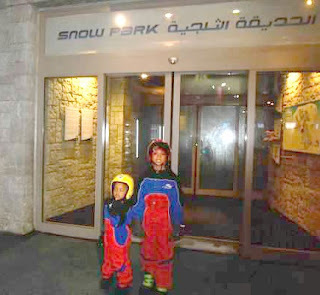 We love Ski Dubai, it’s a nice change in the summer when the Dubai heat can be unbearable. It’s a bit pricey, as most Dubai attractions are, but it’s worth it!